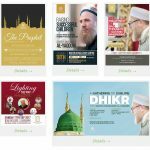 The course will take you on a journey describing the beautiful characteristics of the most influential person to have ever walked the face of the Earth, with particular focus on events and miracles which took place at his blessed hands. 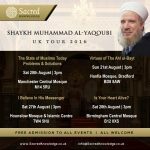 We kindly invite people from all walks of life to attend this event, young and old, male and female, Muslim and Non-Muslim. This is an opportunity for all to witness a true representation of Islam, a way of life embodied by knowledge, wisdom, and mercy. 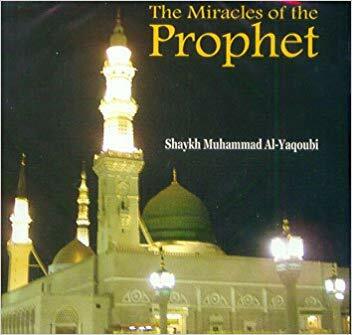 A number of miracles were bestowed upon and performed by Prophet Muhammad peace and blessings be upon him to establish the proof of his prophethood. 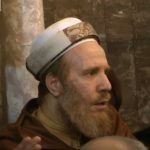 The greatest miracle bestowed upon him was the revelation of the Qur’an. 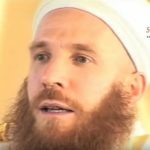 The Qur’an is miraculous in a number of aspects: Its linguistic perfection and inimitability, its validation by recent historical, archaeological, and scientific discoveries, its prophecies and so on. 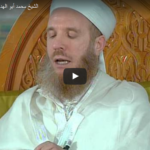 Unlike the miracles of other prophets before him, the miracle of the Qur’an is eternal. Prophet Muhammad peace and blessings be upon him also provided us with many true prophecies. 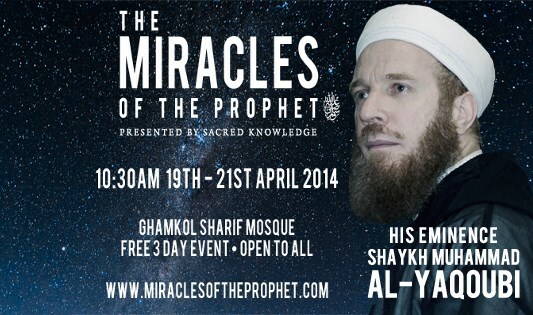 During this enchanting program, the Shaykh delivers a powerful and awe-inspiring speech defining the term “miracle” in both its modern understanding and how it was understood by generations of the past. 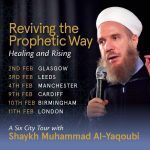 Highlighting some of the most profound miracles recorded in history in the lives of the Prophets Jesus and Mohammed (peace be upon them), the Shaykh reminds modern man not to overlook miracles that happen everyday. With a gripping style & captivating tone the Shaykh’s reminders and riveting words seize the heart and leaves one yearning for more!